When Earl Slick hit the stage to start David Bowie's "Serious Moonlight" Tour more than thirty years ago, he had a single humbucker Strat in his hands, loaded with a vintage Strat tremolo.Was this the first "SuperStrat" ever seen? We believe so. The single hum Charvels started appearing 2 years later! To pay homage to this revolutionary moment Slick rolls out a LIMITED EDITION SL54T. 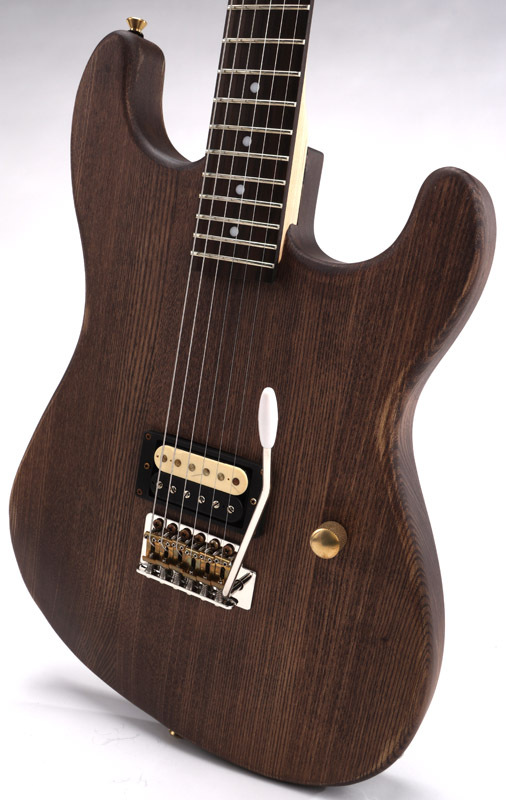 Single Humbucker, Super high end solid brass trem. Rock and Roll at it's most brutal and basic. Hardware? You want Hardware? Slick spec'd out the best. 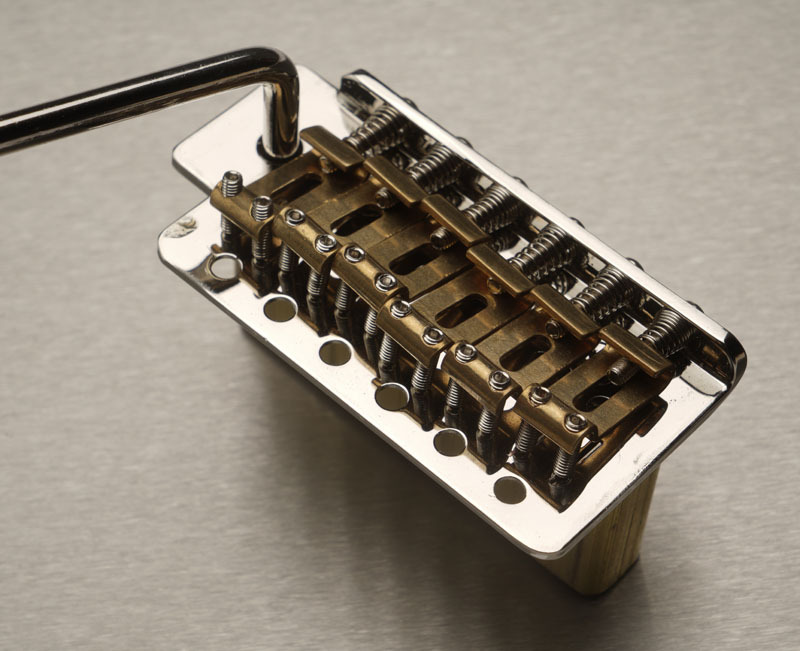 It all starts with our vintage style tremolo. 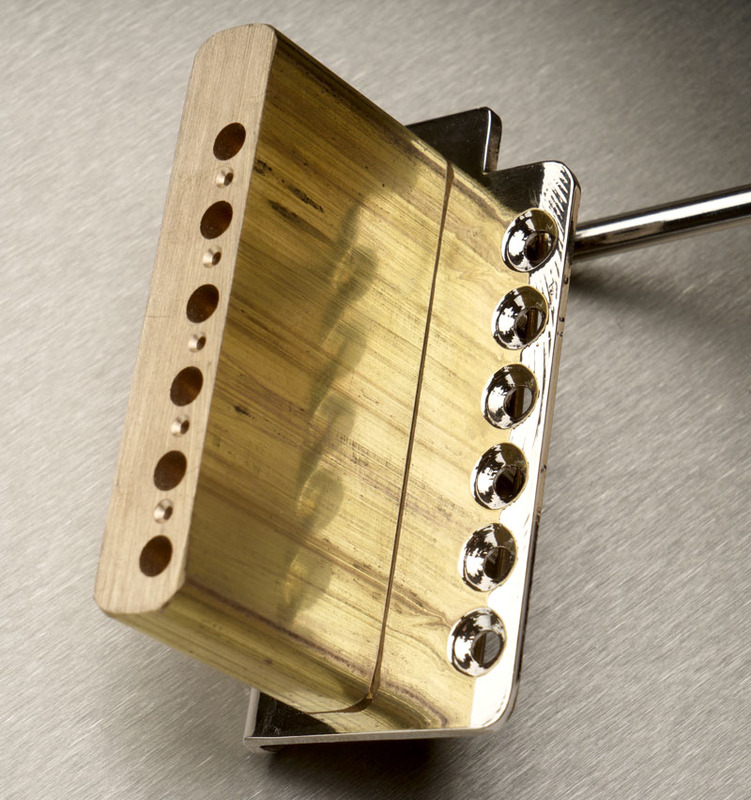 Solid steel baseplate with SOLID MACHINED BRASS trem block and unique solid brass bent saddles. NOBODY has a trem of this quality. Just Slick. 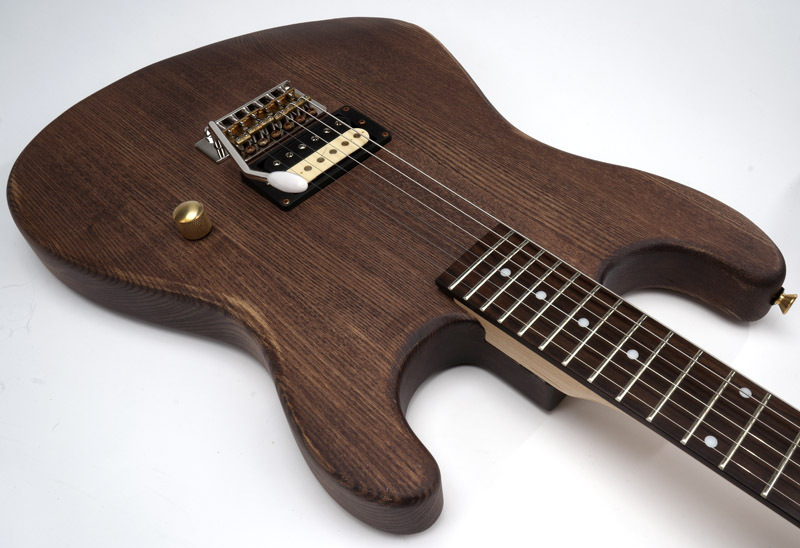 We put a graphite nut on every neck, hand slotted. 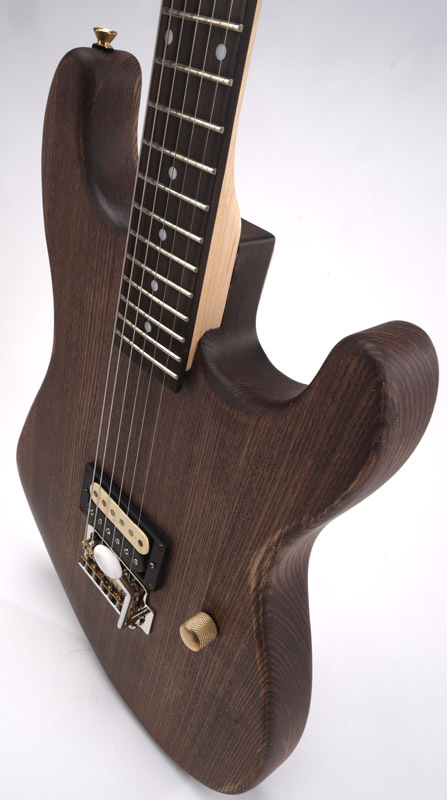 The tilt-back headstock allows us to get the exact correct string break at the nut for ALL SIX STRINGS, and no string trees mean better tuning stability. Set this trem up the right way and it STAYS IN TUNE remarkably well! 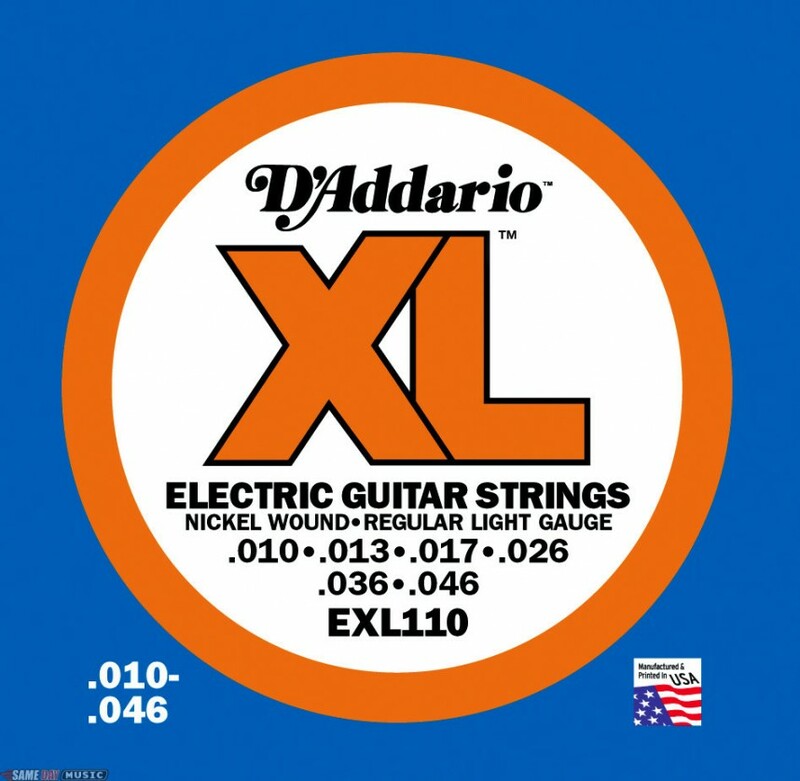 All Slick brand guitars are strung at the factory with New York made D'Addario EXL110 strings. 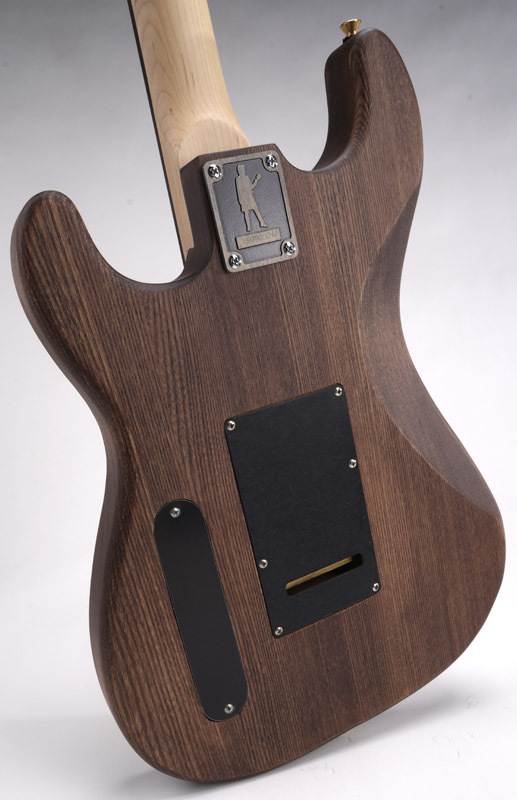 We're running a Fender-Standard 25 1/2" scale length, a 43mm wide nut and a 12" fretboard radius.The neck has twenty two nickel-silver 6105 profile medium jumbo frets, leveled, crowned and polished. 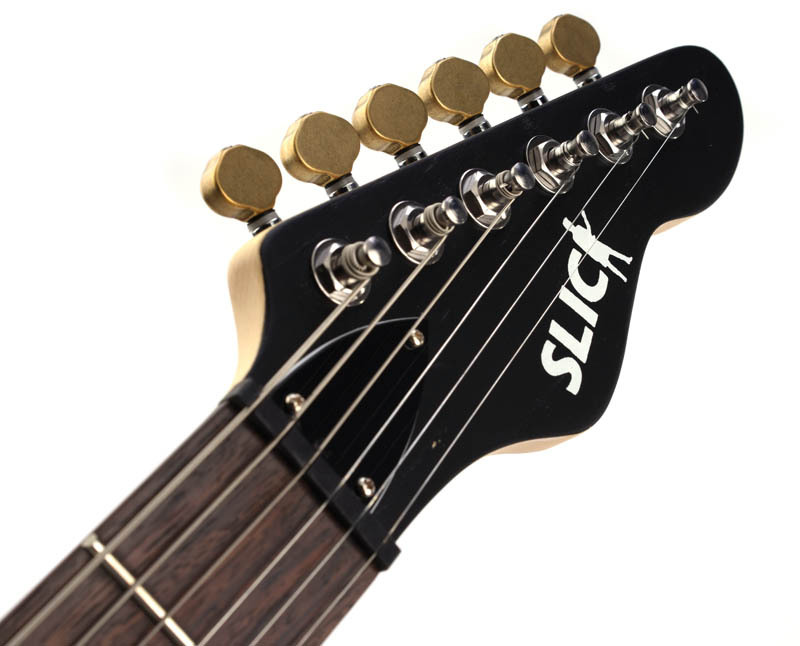 Where the Slick SL54 really distinguishes itself is with the PICKUP. 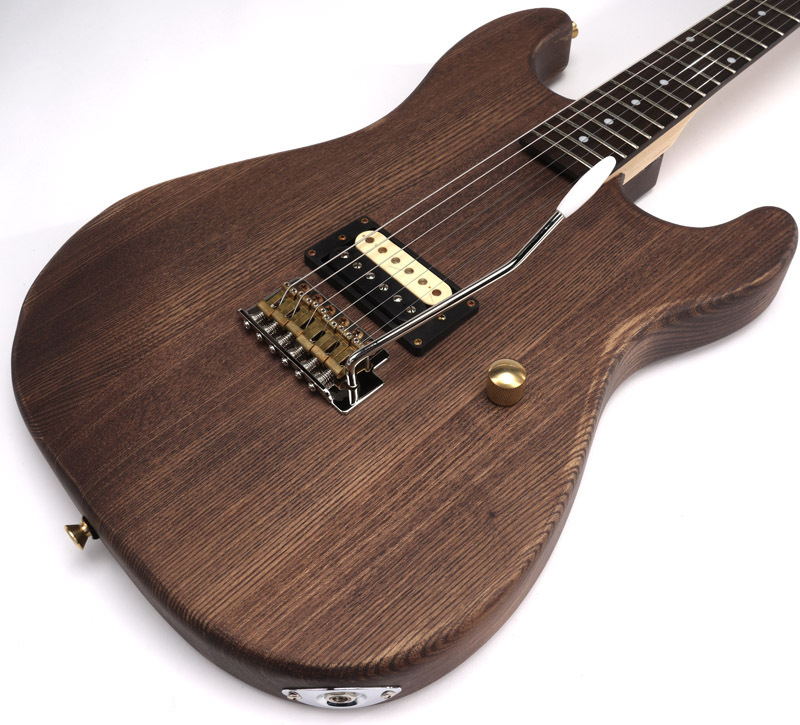 We use a single Slick Brand, HAND AGED "Slick Old School" ALnico V pickup. Just the right amount of dirt- Alnico V bar magnets, Delrin bobbins, Formvar 42 gauge wire, German Silver baseplate and exact vintage correct plastic cover. Wound BIG at 9.2K. 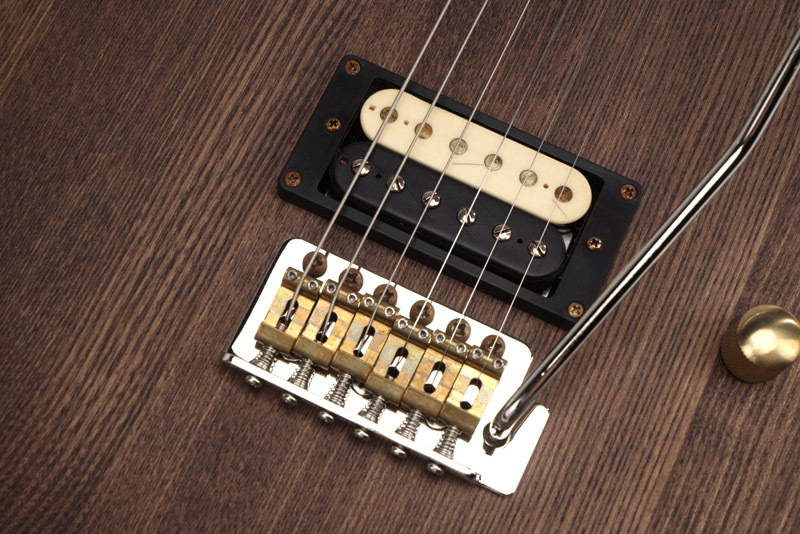 This pickup are not just built from the right stuff, but we hand age them- both cosmetically and magnetically. It looks like an old pickup... it feels like an old pickup... it sounds like an old pickup. The SL54T is a unique guitar, with a tone, feel and sound unmatched by anything under a grand out there. Try one. We think you'll be hooked!